Another feature that was added are project counters. 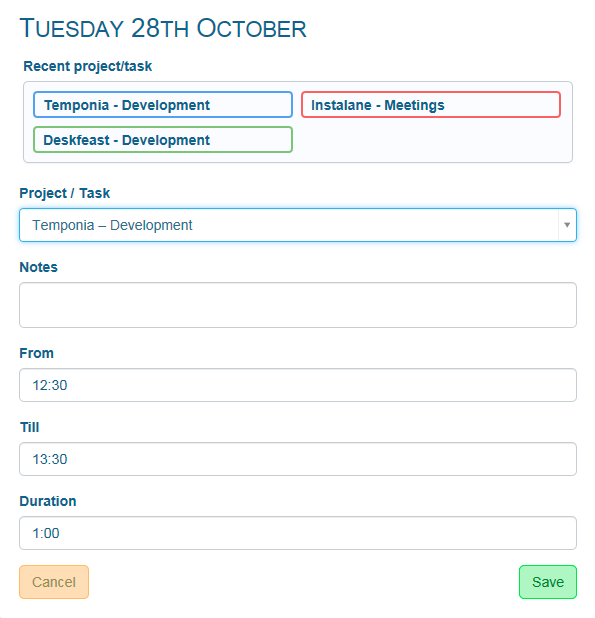 The hours of every project of the week will now be summarized and displayed on the top of the page. This allows you to quickly visualize how many hours you have already spent on which project, without having to dive into dashboards or reporting. 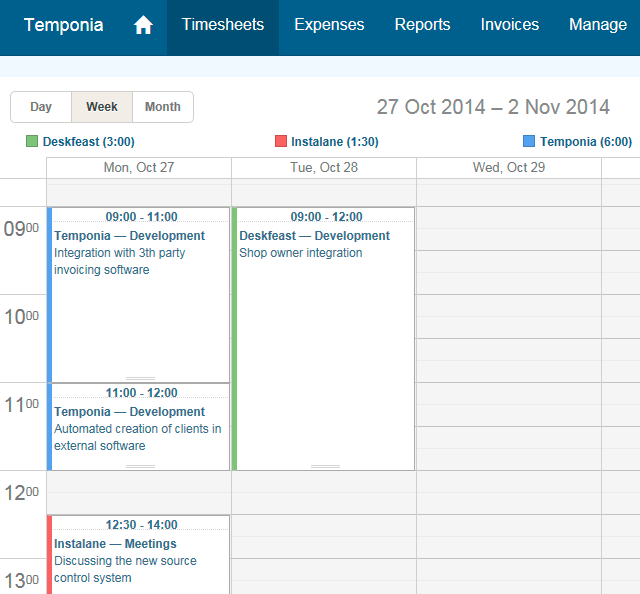 At the moment we are working hard on integrating with partners to let you generate invoices from within Temponia. The first two integrations will be with Xero accounting and Zoho invoicing. More about that soon!